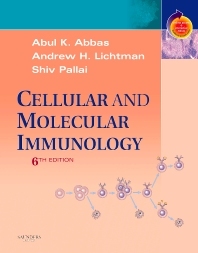 An exceptionally lucid guide to the latest immunology concepts! Through five best-selling editions, readers worldwide have appreciated this book's in-depth yet straightforward, richly illustrated approach to this complex subject. Now, sweeping updates incorporate the latest discoveries about innate immunity, the organization of lymphoid organs, and many other cutting-edge topics. Plus, online access via STUDENT CONSULT makes this an even more powerful learning resource! Clearly explains the experimental observations that form the basis for the science of immunology at the molecular, cellular, and whole-organism levels—and the conclusions that can be drawn from those observations. Highlights the implications of immunologic science for the management of human disease, emphasizing the clinical relevance of the material.